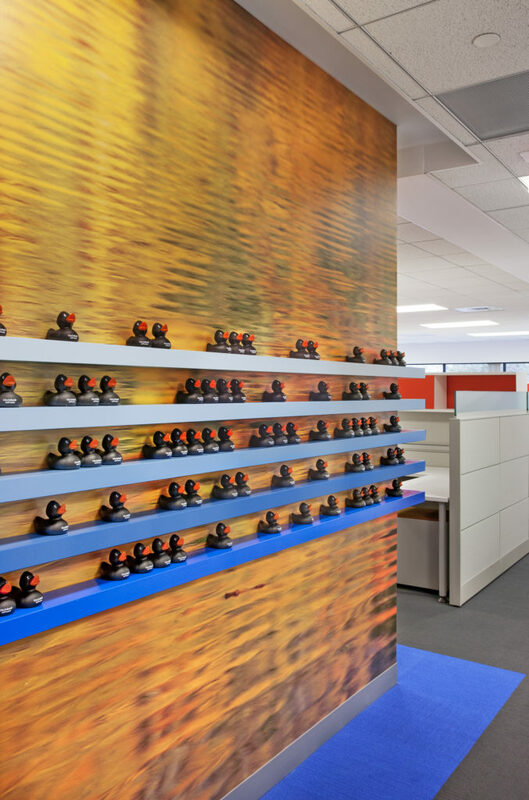 30,000 sf fit-up including new office layout, cafeteria/break room, server room, 9 conference rooms and restrooms upgrades. 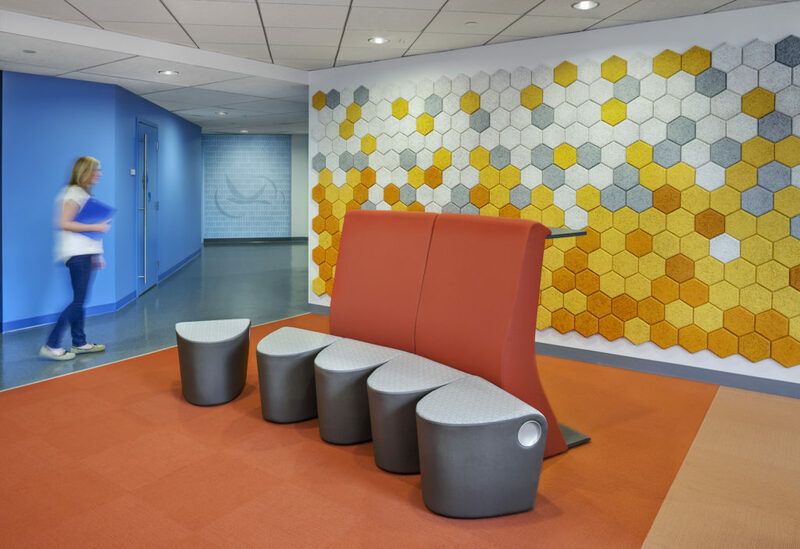 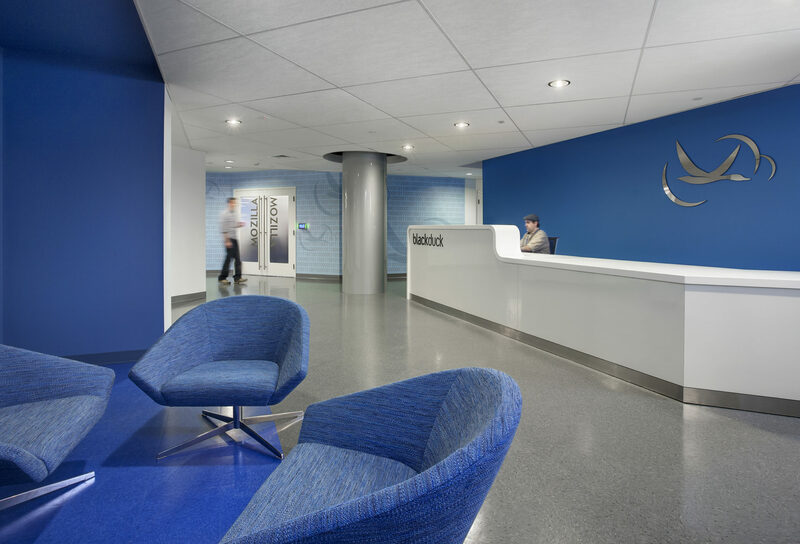 High-end finishes include thermo-formed Corian reception desk, wood wool hexagon collaboration walls (first application in U.S.), glass marker boards, custom glass film, circular gypsum soffits, and decorative pendant fixtures. 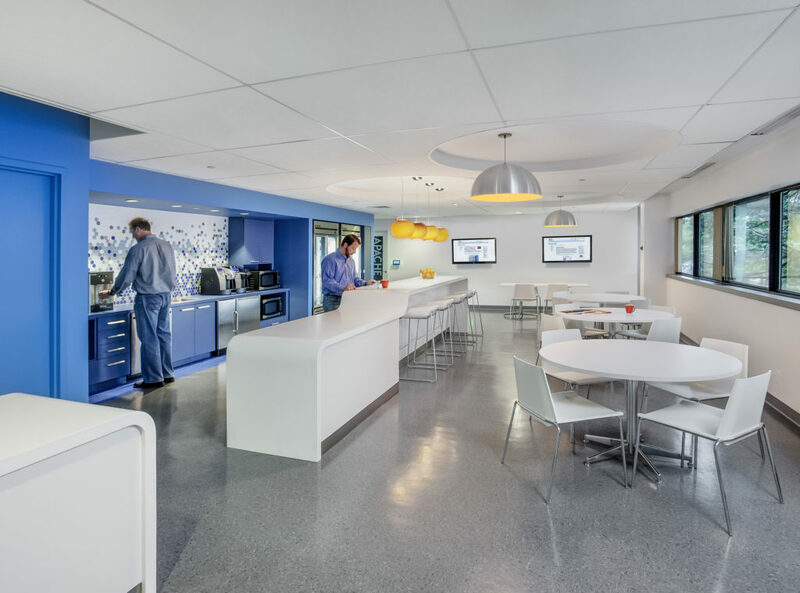 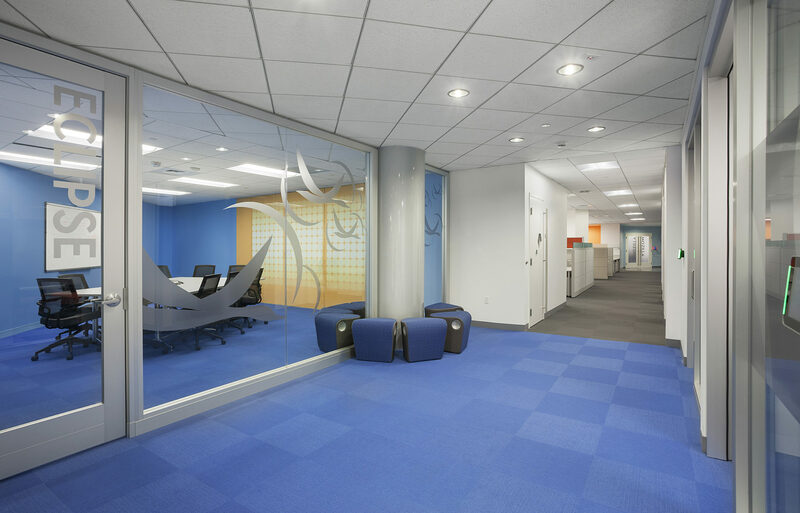 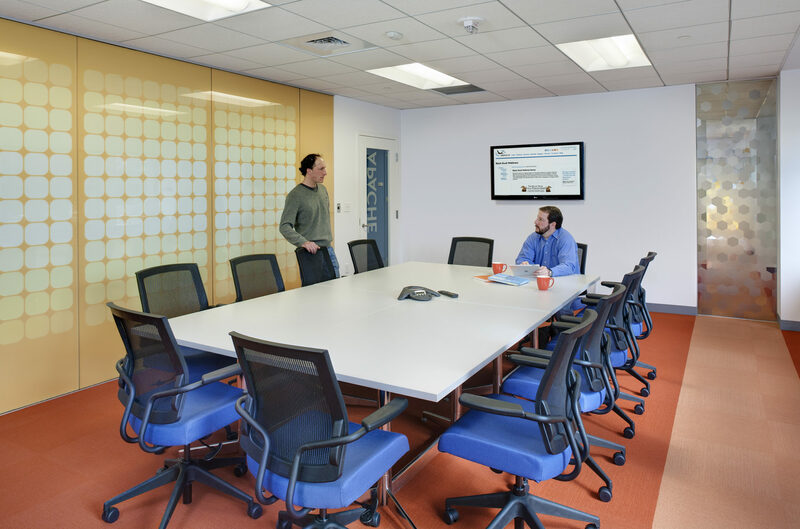 This project received the “Best New Workplace” award at the 2013 CoreNet New England Awards of Excellence.